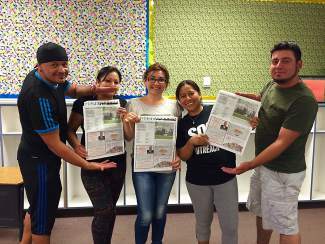 Students in Colorado Mountain College's English as a second language program proudly display their poems published in the Vail Weekly. Registration for fall semester begins Sept. 7. Please call 569-2928 for more information.